Posted January 19th, 2012 by Karl & filed under Technology. It’s recently been brought to my attention (well, today actually) that Kodak, the 120 year old Business, has filed for bankruptcy. Supposedly those in the know do not see this as a surprise however, being one that wasn’t in the know, this has come as a surprise to me. OK so the traditional methods of photography upheld by the Kodak brand aren’t quite as prevalent today as they were once upon a time, where as late as 1976, Kodak commanded 90% of film sales and 85% of camera sales in the U.S. The introduction of competitors such as Nikon, Canon and Sony in both the traditional and digital camera sales helped undercut the revenue that Kodak was producing year on year. This unfortunate set of circumstances led to the eventual downfall of the once big photographic brand. According to the Wikipedia page, Kodak had been burning through their reserves quite rapidly. Supposedly in January 2011 they had $1.6 billion in cash and by June 2011, this sum had halved. As Kodak tried to find new avenues for profit it’s clear all the experimentation and new projects where carving a huge dent in their cash reserves. 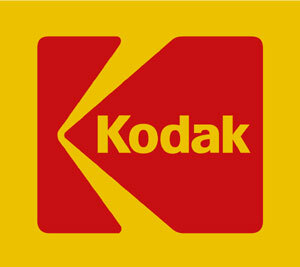 In a desperate attempt to try and regain some lost funds, Kodak joined in the patent litigation battle receiving $550 million from Samsung and $400 million from LG Electronics to help bolster their own depleting cash reserve. However, even back in 2010, many analysis and experts feared that these monetary litigation lawsuits would only provide a cushion to a rapidly degrading turnover and it would only be a matter of time before these ran dry. Well, it seems as though they were right, however, It’s not quite all doom and gloom though for the former photographic giant, as they have filed for what is known as a “Chapter 11” bankruptcy; which means they can reorganise their assists in an attempt to avoid actual bankruptcy and start again. This catastrophic deterioration of a once giant brand reminds me of the current situation Research In Motion find themselves in. They too, have fallen behind the times with regard to their smartphones and tablets and are losing ground in the smartphone race year on year, much like Kodak where in the digital camera race. It seems as though they’re not able to complete against the mighty App Marketplace of which both Apple and Android have such a firm grip on. Instead of looking to do something new and innovative to try and reenergise their sales, they instead announce the release of two new Playbooks (tablets) this year. Many companies have tried, and failed, to dethrone the gargantuan iPad from it’s peak but so far none have even come close. Considering the lack of penetration the original playbooks had, I really don’t see these fairing much, if any better. Indeed, an article on TechCrunch talks about precisely that and how they should possibly look to a different angle for their Business. I think either way, Research In Motion need to pull something out of the bag to get them back in contention so they don’t end up in the same place as Kodak. In other news, Sony Ericsson reported a £173 Million Loss for the fourth quarter of 2011. Google amassed a staggering 4.5 million signatures against SOPA/PIPA and there were 2.4 million tweets yesterday about the now fabled SOPA/PIPA blackout; one of which was ours. The Wall Street Journal – Kodak Files For Bankruptcy Protection. TechCrunch – RIM To Release 7-Inch And 10-Inch PlayBooks This Year? TechCrunch – Should RIM Abandon Ship?